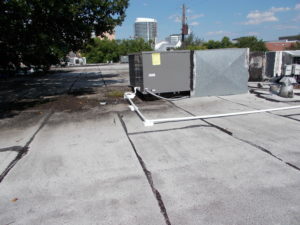 Are you trying to locate the right Financing For Air Conditioning Spring options for your specific AC units? Maybe you’re having a medley of heating and cooling issues, but you don’t know how you’re going to pay for it all at once. When you’re prepared to make sure you have the right access to timely discounts, quality work, and honest pricing, our team is here to help. Call us today at 281-876-9400 to learn more about Houston Admiral Services. In addition to this, keep reading to learn about what we have to offer you! Houston Admiral Services is a place that has been helping people just like you for years now. We are committed to the greater Houston area, and we take great pride in serving our customers well. Are you someone who lives in Spring, Cypress, Katy, The Woodlands, or something else completely? Perhaps you’re currently using a rent house in Cinco Ranch but it continues to malfunction on a daily basis. Maybe you’re even trying to power up your commercial Hempstead building but you still haven’t found the right resources. While this can be tough on many customers, we think you’ll be able to succeed with us on your side. Did you know that Houston Admiral Services also offers services such as maintenance and inspection plans to our customers and clients? If you’re trying to figure out the best way to prevent your systems from breaking down and going out for good, you may not know how you’re going to make it happen. If you’d like to discover a new way to tackle preventative maintenance, our team is ready to assist you. Make sure you’re able to dodge future repairs by keeping track of your systems. Think about it: the last thing you want is for your air conditioning unit to go out at the worst possible time. If you’re a Houstonian, you’re probably planning some barbecue cookouts with your friends and family over the upcoming summer. If so, make sure you’re able to keep the AC going the entire time by acquiring access to our services. We care providing our customers with the help they need whenever they need it the most. Call us today at 281-876-9400 to learn more about our Financing For Air Conditioning Spring needs. We realize that you’re going to want the right resources on your side when things go wrong. For more information on this, call in Go Admiral and realize your greatest dreams as they’re coming true. We have numerous financing options for our valued customers, and we couldn’t be happier to share them! Houston Admiral Services provides customers with long-term service contracts that make things much better for them. Are you ready to find out what you need to deliver upon your lofty goals regarding your inspections? If so, the 31-point inspection brought to you by Houston ADmiral is absolutely perfect for you. Trust in our team and we’ll make sure you have the right resources towards maximizing the lifespan of your unit. The heating and cooling units that are placed within your systems are going to be maintained at some point. You need to make sure you keep up with this so you don’t have to go through malfunctions that take over your life. Are you ready to figure out what needs to happen with this but you just don’t know how? If you’re ready to do so, make sure you manifest your reality and call in Houston Admiral Services. Houston Admiral Services is aware of the services we provide, and we want to make sure we keep things fair and accurate for our customers. Are you looking for some great ways to save cash, but you still haven’t figured anything out? Perhaps you’re ready to start receiving discounts for the services you need most but you’re still looking of the right resources. When things go wrong, you can count on our team to make the most out of your situation. Our residential services are perfect for those who live in homes while needing air conditioning service. Are you ready to learn more about what it takes to help your home stay in great shape? While you’re probably already gotten most of it taken care of, you can count on us to provide support. We’ll ensure you don’t have to go through anymore residential AC malfunctions. With us on your side, you’ll have a restored system in no time. Same goes for our commercial customers, too. Were all businessmen, but we’re all consumers, too. Are you trying to figure out how you’re going to make sure your break room stays heated and ventilated? This is important, and our team of pros will be here to help when you see things going wrong. Alert us as soon as possible so you can have the right support for your specific needs. We’ll be there to help! Houston Admiral Services cares about the pricing of our services, and we know that our customers need accessible prices to make sure they can afford their services. Are you ready to start upgrading your setups while simultaneously saving money? If so, you’ll be able to check out our financing options. With the FTL Financial Lease and the FTL ESC Card available, you’ll be covered on both ends. 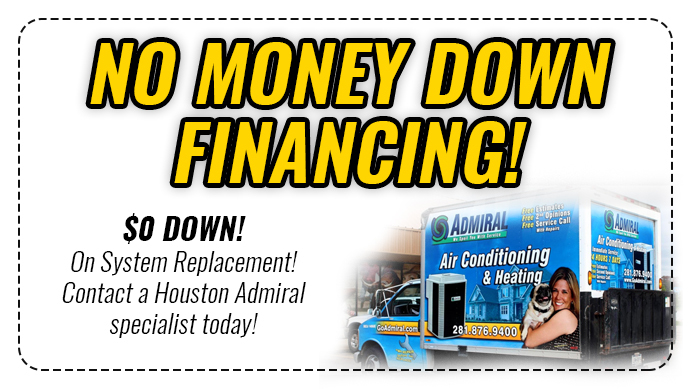 Make sure you’re able to take advantage of your Financing For Air Conditioning Spring options by calling Houston admiral Services. Our team of technicians and air conditioning experts are ready to help you through your conundrums. Local help is important, and you have to take this seriously if you expect your heating and cooling machinery to operate in the best way. 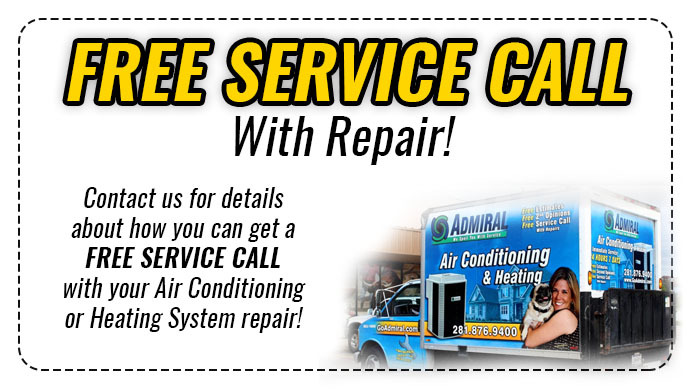 Call us today at 281-876-9400 if you’re ready to start doing better in regards to your AC and heater maintenance. Our team of professionals are ready to provide a helping hand whenever you feel like you need one. Spring, Texas is a great place to live if you need some help finding a way to enter the suburbs. Located only 30~ miles from Houston, you can count on Spring to help kep your family safe and sound at night.